Siegel is complaining about the taste of the hamburger that my generation has bought for him. He is bitching that it doesn’t taste like steak. He is getting his money back and more, and future retirees are losing money. My generation is getting hamburger because we have bought too many steaks. Once entering the world of work, all U.S. workers are obligated to contribute about 15 percent of their wages to Social Security to cover their income needs when they are aged, or disabled. The program was designed to cover about 2 to 3 years, or 5 percent, of life expectancy. Now, given the change in life expectancy, and public financial legerdemain, it now covers 20 to 25 years, or about 30 percent of life expectancy, and growing. This massive increase in benefits is to be paid by future generations. They can’t, unless one believes in the tooth fairy. Come to think of it, do we need 65,000 plus public servants to do a job that duplicates what the private investment community does efficiently already? 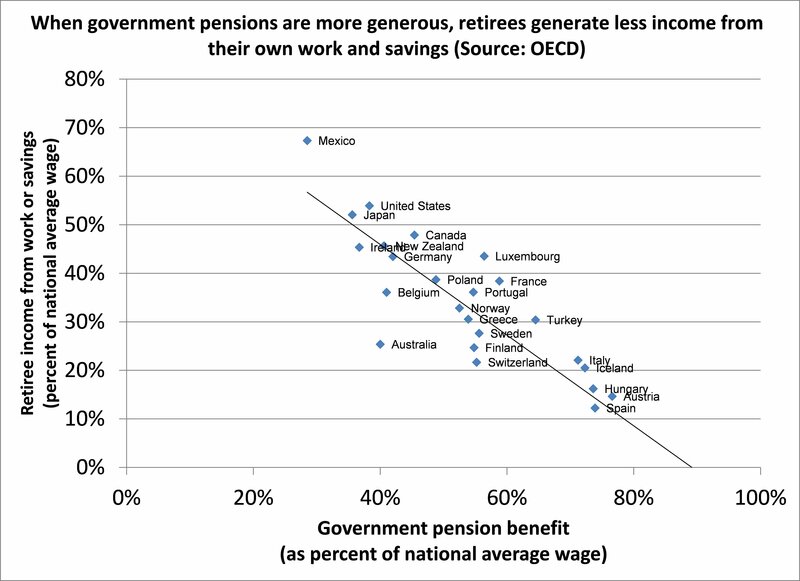 A huge advantage of SS verses private savings is the “government guarantee”. While we know that the program is unsustainable, the average person has built it in to retirement plans. In replacing the current system, it would be helpful if at least a portion had a “gg”. A prebate/basic income/guaranteed income would do just that. Those currently retired are fully vested. Those not yet retired are only partially vested, based on the percentage of total FICA payments already made. As part of a new tax system, FICA payments would cease, and entitlement payments would come from general revenues. Migration from the current system (minus basic income payments) should be straight forward. Current retirees will receive a basic income (about 1/3 of current entitlement payments) plus residual entitlement payments (about 2/3’s) for no net change. Since the average worker works about 45 years for 15 years of retirement, those not fully vested should have their retirement date pushed back by 1/3 of a month for every month til retirement, since they are no longer paying FICA. While it is true that continuing entitlement costs will be paid out of general revenue to which they contribute, current workers are going to get screwed one way or the other. At least this way they should see the tax rate begin to decline as the continuing entitlement burden is reduced, as long as life expectancy doesn’t increase faster than increased retirement ages. 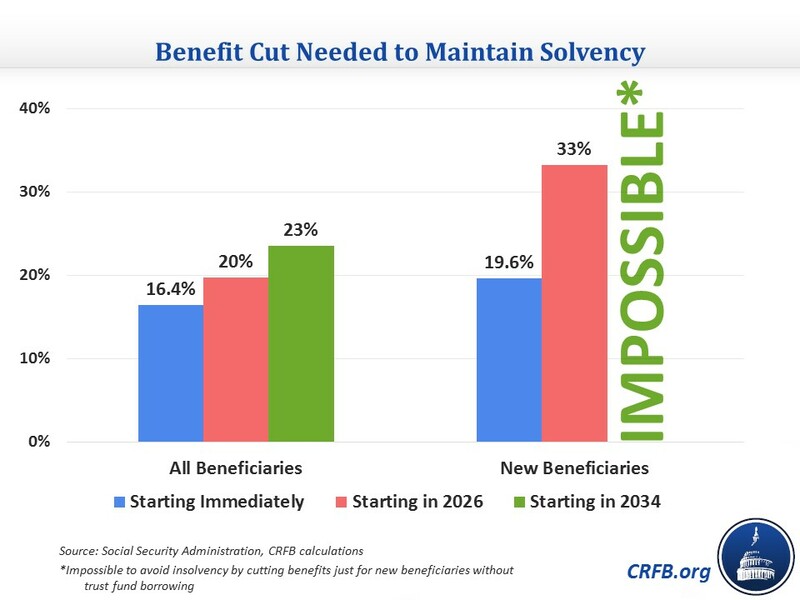 In addition to the inflation adjustment scam, taxing Social Security benefits for those earning a modest income(at highest income related percentage) represents a “reform” already in place. Etcetera, etcetera, etcetera.